If you are looking for a shop to buy Google Cardboard in South Africa you just found it. We sell Google Cardboard virtual reality glasses. The Google Cardboard glasses is made from high quality cardboard and optical lenses. The VR Cardboard glasses is inspired by Google Cardboard, and made to the exact specifications as the official Google Cardboard. The new version of the glasses is called Google Cardboard Version 2. It is the second generation of the first Google Cardboard glasses. New features and upgrades to the original include better optical lenses. The lenses are bigger and provides a much better immersive experience than the first version of Google Cardboard. The first version of the glasses came as a DIY kit, where you had to assemble the Google Cardboard device yourself. The new Google Cardboard Version 2 device comes assembled. It also features a protective sleeve that protects the Google Cardboard device from wear and tear and is quite a neat feature. When you are not using the glasses you simply slide it into the protective sleeve, when you want to use it again you just slide it out, fold open the Google Cardboard glasses and bob is your uncle. 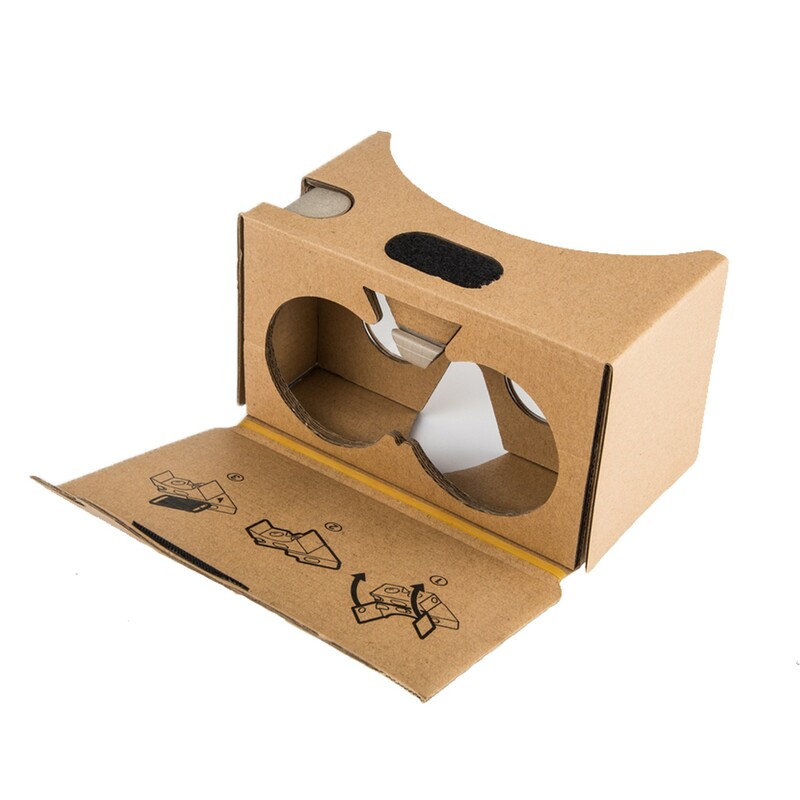 The Google Cardboard device is the most affordable virtual reality headset in the world. 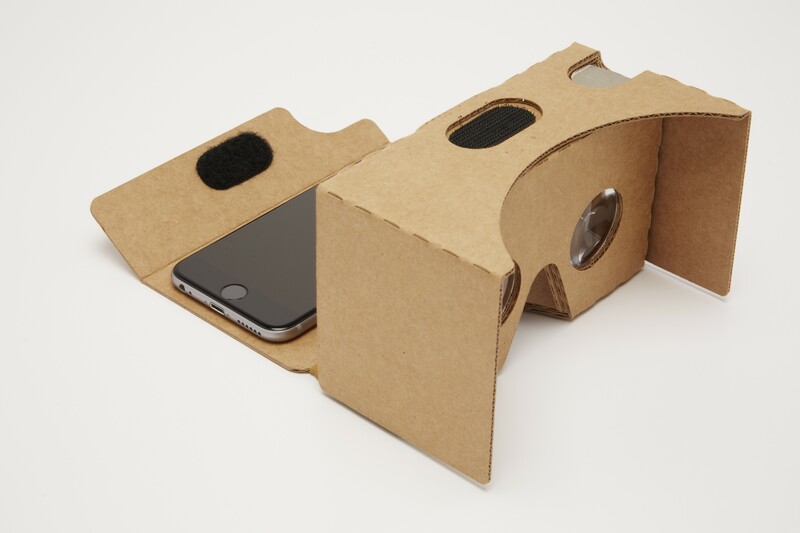 Google created the cardboard version in 2014 and many people thought that it was a joke. Since then Google have sold millions of these devices. They provided the plans for creating the Google Cardboard device as open source and thousands of other companies like our Virtual Reality company manufacture and sell these devices. What can you do with the Google Cardboard VR Glasses? You can watch normal videos and still images with the Google Cardboard device. For Corporate clients and businesses we provide custom branded virtual reality glasses. 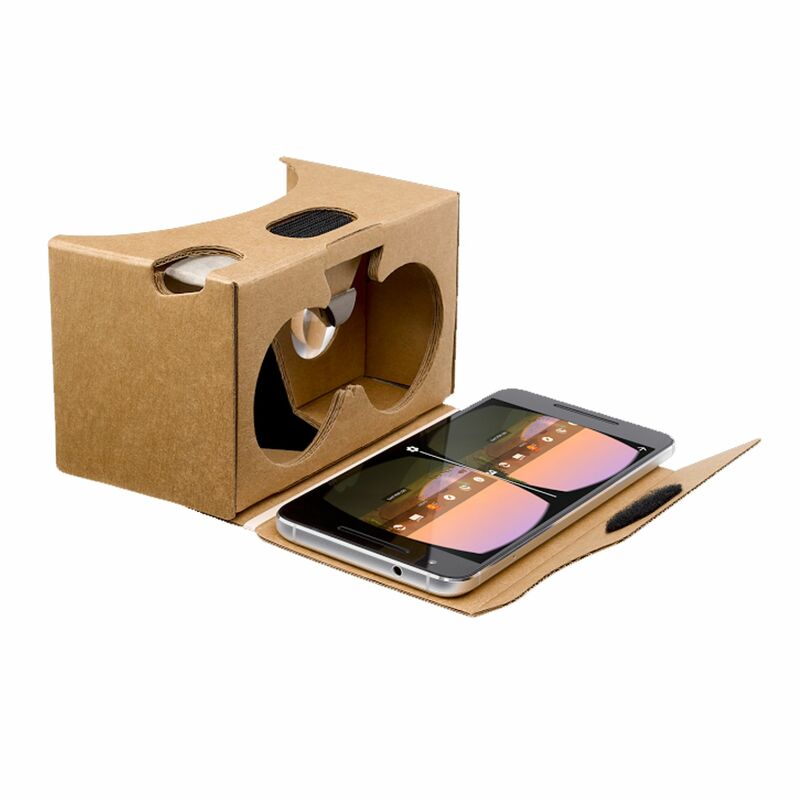 We also provide discounts on large orders, making it ideal for businesses to hand out the Google Cardboard devices to clients or to provide clients with corporate gifts. For more information on custom branded Google Cardboard glasses you can contact us. The Virtual Reality Company is a South African based company. We also serve International Businesses with world class VR Solutions!